Restore America’s Estuaries 8th National Summit on Coastal and Estuarine Restoration and 25th Biennial Meeting of The Coastal Society. Lee Weishar presenting and we will be Exhibiting in Booth #710. About The Summit: "Our Coasts, Our Future, Our Choice" is the only national Summit focused on the goals and practices of coastal restoration and management. Estuaries and coasts are an important part of America’s economy, history, and culture. The six-day Summit will explore cutting-edge issues in restoration and coastal management, and will be comprised of a community restoration event, field sessions, plenary session, expert presentations, special evening events, workshops, a poster hall, and award-winning coastal exposition hall. 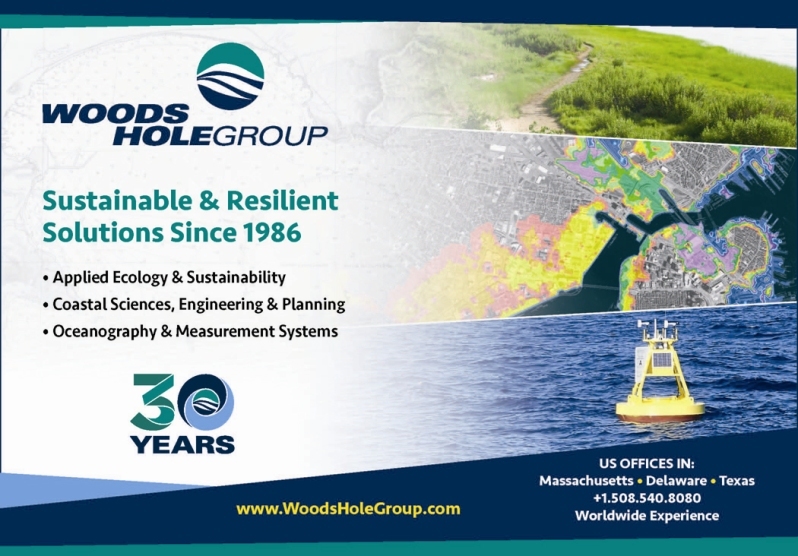 If you attending the conference and want to learn more about Woods Hole Group and our capabilities, please stop by our booth (#710). Catherine Morey and Rob Smith will be available to help. See you in New Orleans! "The Challenge of Constructing and Designing Living Shoreline Projects in the Northeast"
"Small-Scale Features Can Have Large-Scale, Long-Term Implications: Get to Know Your Site Based on Experiences at Milford Neck Conservation Area Wetland Restoration, Kent County, Delaware"
Woods Hole Group is celebrating its 30th Anniversary this year. To learn more information about corporate milestones, foundational projects, and key personnel, please visit our 30th Anniversary Web Page. Throughout the anniversary year we will update you on additional projects and personnel, plus share information on events. To learn more, please read the 30th Anniversary Press Release. Rob Smith joined the Woods Hole Group Houston Office as Business Development Manager/Oceanographer in October 2016. We are excited to have Rob on our team and look forward enhancing our business services under his leadership. Rob graduated from the University of Wales, University College Swansea with a BSc (Hons), in 1987. Since then he has gained 29 years of experience in commercial oceanography and marine environmental science working for Wimpol, Wimpey Environmental and Fugro GEOS. His career has taken him from his starting role of field oceanographer through to his previous role as Managing Director of Fugro GEOS and has seen him work all over the world, while being based in the UK, UAE and, for the past 15 years the USA in Houston. Rob's extensive experience includes: coastal oceanography associated with engineering projects; offshore oceanography associated with the oil and gas industry; and marine environment work associated with water services and regulatory bodies. He is looking forward to using this experience to identify and secure new opportunities for Woods Hole Group and to support the team wherever possible in terms of project and operational management. 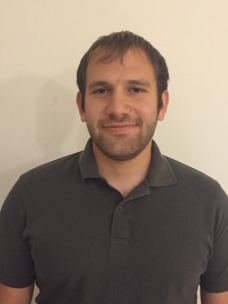 Woods Hole Group is excited to welcome aboard Adam Finkle to the team. 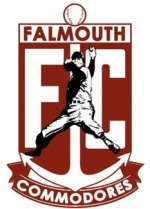 Adam will be working out of the Falmouth Office as a Coastal Scientist. 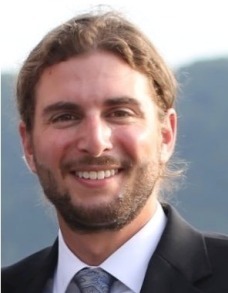 Adam attended Siena College for his Bachelor of Science in Biology and UMass Amherst for his Master of Science in Sustainability Science, where he studied a systems-approach to climate change and aquatic sustainability and social, ecological, and economic aspects of coastal resiliency. He is experienced in managing large-scale ecological restoration and site remediation projects throughout New England, and implemented coastal bioengineering, beach nourishment and native planting projects to stabilize vulnerable coastal resource areas. His experience includes living shorelines and green infrastructure projects. He is familiar with the local Conservation Commission permitting process, as well as conducting monitoring and compiling associated reports to meet Conservation Commission Order of Conditions monitoring requirements. 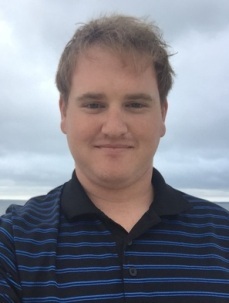 Woods Hole Group is excited to welcome aboard Zachary Stromer to the Falmouth Office as a Coastal Scientist. Zach attended Northeastern University for his Bachelor of Science in Environmental Geology/Chemistry and UMass Amherst for his Master of Science in Geology. Zach is a geologist that has experience with a variety of field techniques. He will be a great asset to the team with his experience with sediment analysis, having used these tools to study records of storm overwash in coastal Massachusetts for his master's thesis project. 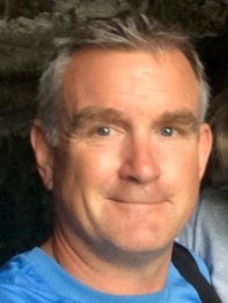 Woods Hole Group is proud to welcome aboard Zac Duval to the Falmouth Office as a Coastal Engineer. Zac attended University of South Carolina for his Bachelor of Science and received Masters in Oceanography from Stony Brook University and University of Delaware. 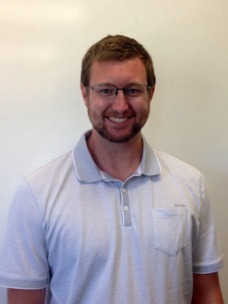 Zac is a Coastal Scientist, with experience in sediment transport and instrumentation. Additionally we are excited to announce that Alex Shaw joined our Falmouth Office as a Coastal Engineer. Alex attended University of Rhode Island for his Bachelor of Science and Master of Science in Ocean Engineering. Alex is a coastal modeler that has experience using many different model types including ADRCIRC, CHAMP, SLOSH, and is familiar with others. He will be a great asset to the coastal team having experience with storm surge, estuary, and wave models, and having conducted studies using these tools on the coast of Rhode Island. For more information, click the conference images. Hyannis, MA - December 6-7, 2016. In addition to exhibiting and attending the conference, Ted Wickwire will be giving a joint presentation with Thomas O'Shea of The Trustees of Reservations (TOR) on "Habitats, Roads, Cultural and Recreational Resources, Buildings and Bathrooms: In a Changing Climate, What Should We Protect? Coastal Vulnerability Indexing, Mapping, Assessment and Adaptation on The Trustees of Reservations Coastal Properties". The presentation will take place during the Wednesday, December 7th sessions. New Orleans, LA - January 9-12, 2017. The Sediments Conference series is a forum for sharing research results, practical experiences, and opportunities associated with remediating, restoring and managing the environmental and economic vitality of waterways. Maintaining the viability of these aquatic systems requires complex actions that affect a diverse group of stakeholders and raise a wide range of environmental, economic, political and social issues. Elise Leduc will present a poster during the poster sessions in the eveings. Spring Meeting Committee Members Catherine Morey and Bob Hamilton will continue to work with other industry collegues to help bring this important event together in 2017.
please visit our Links and Events Page. Thank you. 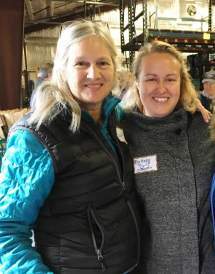 Brittany and Leslie worked at the Falmouth Service Center on Thanksgiving morning alongside ~ 50 volunteers to deliver hot Thanksgiving meals to community members in need. They assembled individual meals complete with turkey, gravy, mashed potatoes, squash, green beans and carrots, stuffing, cranberry sauce, desert, soup and a turkey sandwich. The volunteers then fanned out across Town to deliver the meals to Falmouth Service Center clients and other public/private organizations open on Thanksgiving holiday. The meals were greatly appreciated and we all have much to be thankful for. 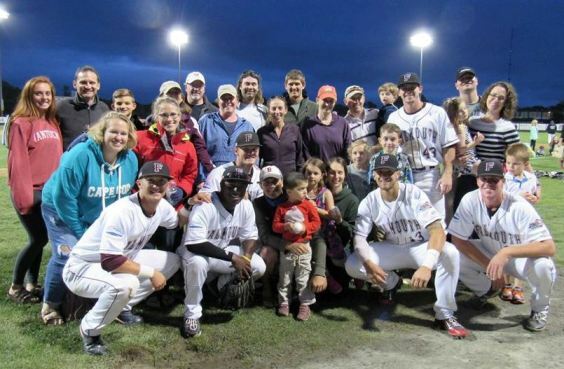 Woods Hole Group continued its support for the Falmouth Commodores this past year as a Corporate Sponsor for the team. Such a great tradition for the family and friends. Look forward to seeing everyone again in 2017! Woods Hole Group hosted another great turnout for COASTSWEEP beach clean-up on September 24, 2016 at Town Neck Beach in Sandwich, MA. If you are interested in participating in Fall 2017, please stay tuned for more information or please contact Catherine Morey for more information. The clean-up is part of the COASTWEEP program, the Commonwealth’s annual coastal cleanup program organized by the Massachusetts Office of Coastal Zone Management and the Urban Harbors Institute of the University of Massachusetts Boston.